Need help? 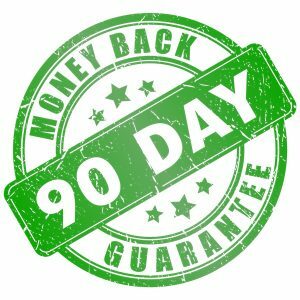 Our free “How to” guides are designed to help you get the most of your CD, DVD, vinyl or USB project and will guide you in areas such as How to create my CD master, How to design my CD artwork, How do I earn royalties and licensing… everything you need to know to ensure your project runs smoothly and makes you money. 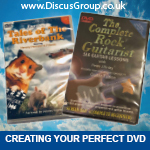 A Useful 6 page guide to authoring, creating your DVD master, region codes and other key areas to ensure your DVD project is perfect and runs smoothly. 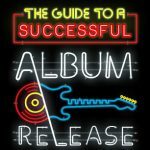 12 pages of useful information on releasing an album. How to create your master, what packaging to use, designing artwork, information on royalties and licensing…everything you need to know to ensure your project runs smoothly. Thinking of releasing a Christmas CD? Here is everything you need to know. 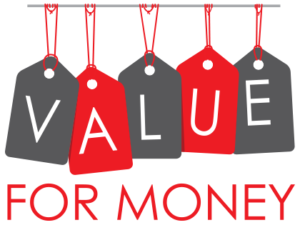 We Pride ourselves in delivering both an outstanding level of service and also a top quality finished product. 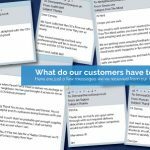 But don’t take our word for it, have a look at what a few of our customers have to say. 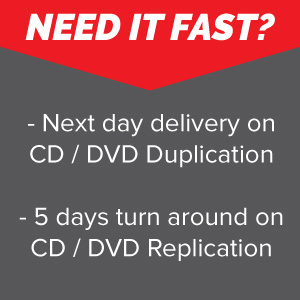 Did you know we don’t just duplicate CD and DVD. 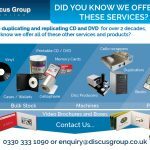 We also supply blank media, packaging, machines and even Video Brochures. Take a look at the full range of products. At Discus Group we pride ourselves on providing a quality product and service. 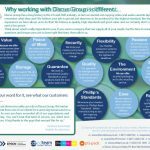 Here are a few of the ways we achieve this and some other reasons why you should choose Discus Group for your project.